5/7/09 After the packrats chewed up the ignition wires in my truck, TWICE, I decided to get tough. I caught this guy and let him go about 15 miles away. 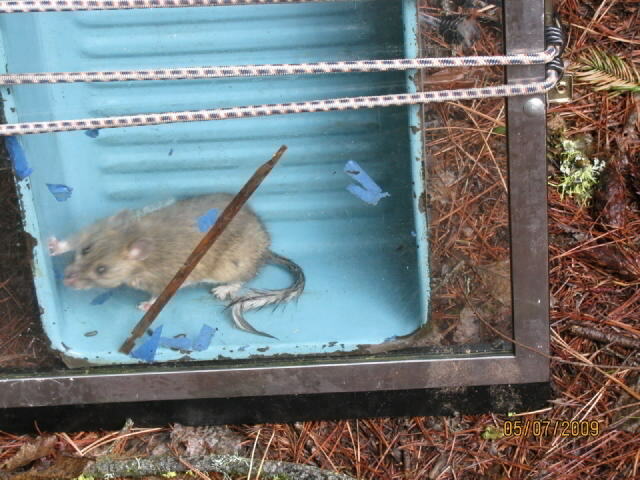 That blue refrigerator tray is 11 1/4 inches wide so you can see that his body is about 7 inches long. 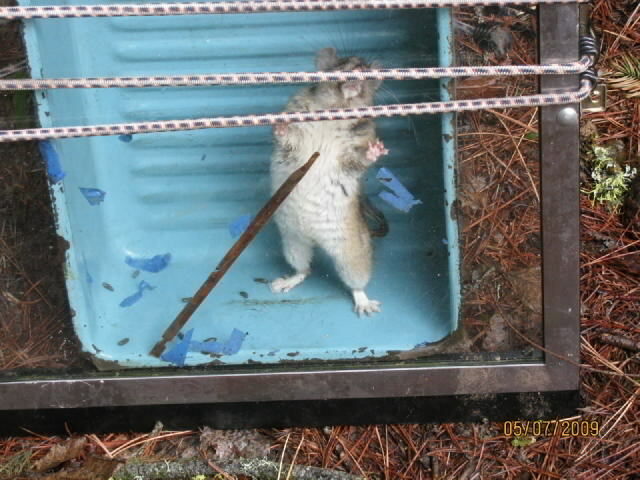 5/7/09 Here's a shot of a packrat you don't see every day. 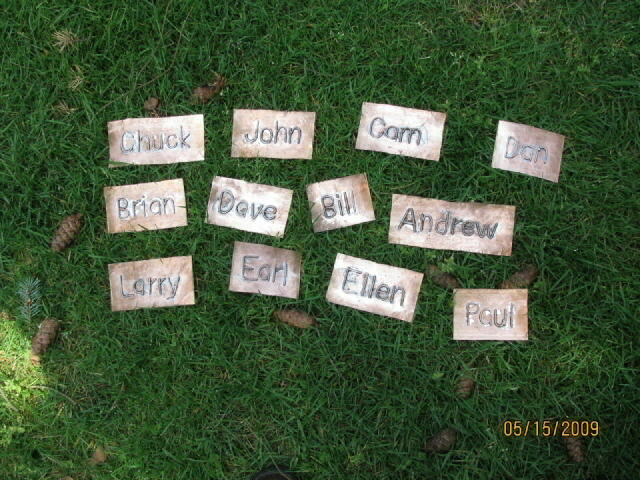 5/15/09 These are the copper name tags I will place with the 12 giant sequoia trees I planted in the woods. 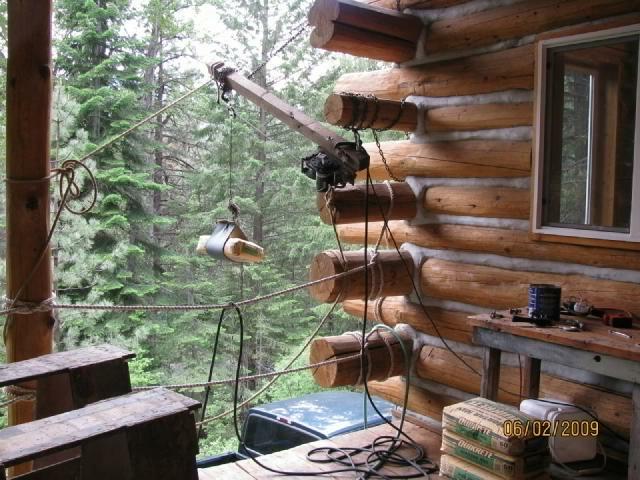 6/2/09 This is the crane I set up to lift things from the truck or the upper roadway and set them down on the porch. Here you see a 60 lb sack of mortar mix up in the air ready to be swung over. 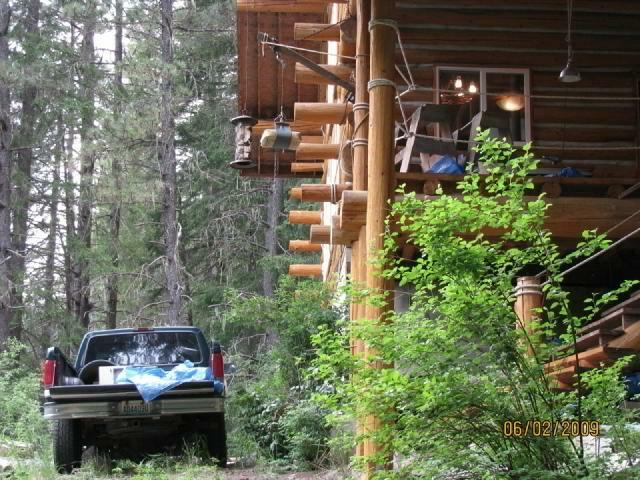 6/2/09 Here you can see the winch mounted on the 4x4 boom and the chains used to anchor the boom. 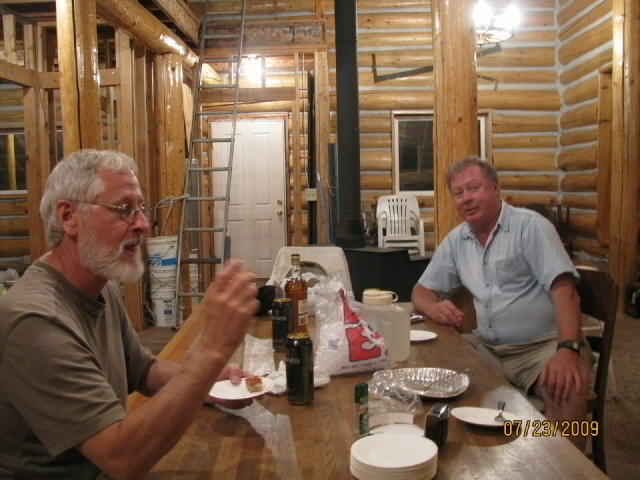 7/23/09 John and Harold in the cabin after spending a couple days at Hood River OR. 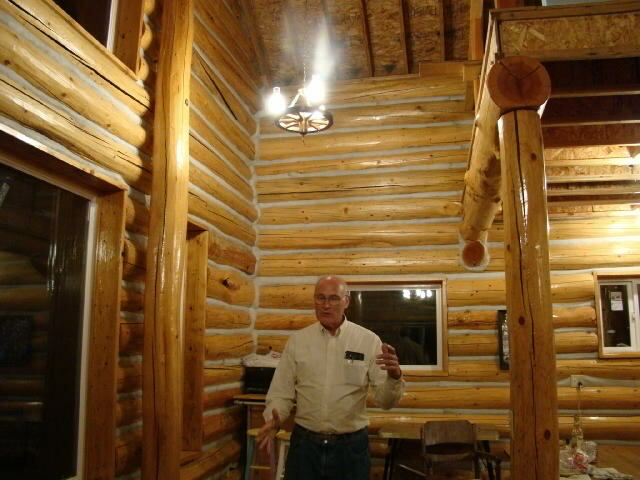 7/24/09 Paul in the dining room explaining something to John, Harold, Bill, Dave, and Cam who spent the day visiting at the cabin. 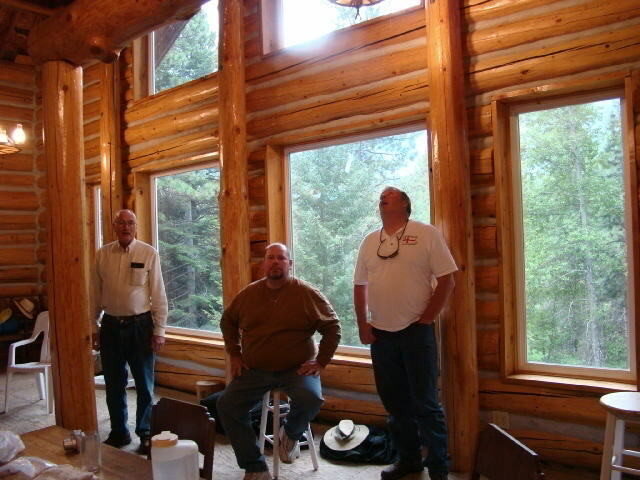 7/24/09 Here's Paul, Bill, and Dave having a fun visit. ©2009-2019 Paul R. Martin, All rights reserved.